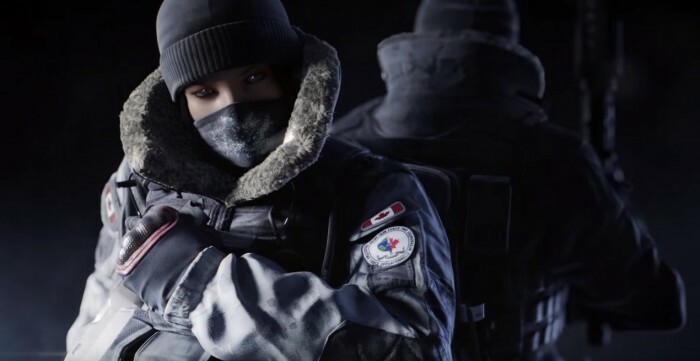 Rainbow Six Siege players are getting tired of dealing with gamers who find it fun to friendly fire their own teammates throughout the entire match. Now a new patch has released from Ubisoft that will hopefully solve this issue and sway players to play nicely while matchmaking. Check out the full 3.4 patch notes down below. Team killing will hopefully be a thing of the past when it comes to Rainbow Six Siege, or at the very least a little less common than how it is now. Ubisoft is cleaning up the game by banning players from matches for a duration of time if they are killing teammates. For the first offense, the player will receive a 15-minute ban along with a 50% renown penalty for a half-hour during Ranked play. If the player continues, their second offense will cause a ban of matchmaking for thirty minutes. This trend will continue with players being banned for a duration of time if not banned completely from the game. That’s not the only thing that’s coming to the Rainbow Six Siege video game. Ubisoft has made a variety of balancing options along with making adjustments to the operator’s Pulse gadget. Gamers can expect to see this patch roll out for the PlayStation 4, Xbox One, and PC on July 13, 2016. Take a look at the full patch notes list down below. If a player repeatedly team kills, they will temporarily be banned from matchmaking. After multiple offenses, a permanent ban may be issued to the offending player’s account. Duration of a suspension will be decided at Ubisoft’s discretion, on a case by case basis. After multiple offenses, the player may receive up to a permanent ban. Actual disciplinary action may differ from the list of examples depending on the severity of the behavior and, again, shall be decided at Ubisoft’s discretion, on a case by case basis. FIXED – Xbox One users were unable to create Custom Matches while offline. FIXED – Casual menu can be accessed even while banned. FIXED – Camera devices float when a player is killed while using it. FIXED – Player’s weapon disappears if a pickup animation is cancelled. FIXED – SR-25 has a flickering texture on top side of stock. FIXED – Unable to revive himself if put in a DBNO state during the vaulting animation. FIXED – Turret will float in the air if it runs out of ammo. FIXED – When viewing Tachanka as a spectator, there are multiple visual/animation conflicts. FIXED – Replay and Spectator mode cameras sometimes made Blackbeard appear to have no recoil. FIXED – No sound effects can be heard when a Shock Wire Battery is placed on barbed wire on stairs. FIXED – Shield clips through the Operator’s field of view while picking up a breach charge. FIXED – Players are able to rappel in the air at EXT Front Lawn from EXT Coast Guard Roof. FIXED – Placing a Black Eye next to a window in the 2nd Floor Hallway in Preparation Phase destroys the Black Eye.